Solo Travel: Go More. Go Solo. Travelers are now going solo, especially Millennials, to design their own itineraries and enjoy the activities that they love like hobbies that range from running marathons, to bike tours to music festivals, yoga retreats and more! 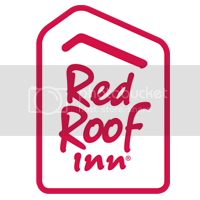 Red Roof Inn is the perfect place to stay to accommodate the solo adventurers who are looking for upscale economy lodging that accommodates their specific travel needs and interests at a great price! Nashville– Home of Country music and one of the friendliest cities in the US. The city appeals to travelers with its live music venues, culinary happenings and much more. When in Nashville, get the most of your travel experience by staying at Red Roof PLUS+ Nashville Airport. Make sure to catch the Music City Food + Wine Festival in September and the CMA Music Festival in June. Charleston– Rated as the 3rd safest American City, Charleston is brimming with historic charm. Visitors can embark on the ultimate culinary and art adventure, enjoying hundreds of activities at affordable price points. Stay at Red Roof PLUS+ Mt. Pleasant (20 min drive from Charleston) for a great lodging experience. Make sure to catch the BB&T Charleston Wine + Food Festival in March or the April Charleston Open – Family Circle Cup. Austin-Austin is a boom-town of culture and creativity, as well as a favorite foodie destination. With a vibe all of its own, the Live Music Capital of the World is also an extraordinarily open place that welcomes all visitors. Stay at Red Roof PLUS+ Austin South or Red Roof Inn Austin North for a fully immersive visit. Make sure to catch the South by Southwest Music Conference and Festival every March, the Austin Food & Wine Festival and iHeart Country Festival every April, or the Austin City Limits Music Festival each September.